Seattle city council members voted Monday to legalize ride-hailing apps like Uber, Lyft and Sidecar, despite concerns from one council member about the adequacy of insurance coverage provided by the companies. The council voted 8-1 in favor of legislation that would create a new regulatory framework for the companies, which the city calls "transportation network companies." In March, Seattle approved laws putting a cap on the number of vehicles that TNCs could operate on the road at any one time. But that ordinance was subsequently suspended, with Mayor Ed Murray bringing together the industry, including traditional taxi operators, and legislators, to reach a deal. Monday's vote paves the way for ride-summoning apps to operate in the city without caps. Council members generally agreed that their services were important for helping to bring new transportation options to the city. "I'm interested in seeing how this legislation helps this city become a better city," said council member Bruce Harrell. Council member Mike O'Brien, the sole dissenting voter, said issues around safety and insurance still need to be worked out. His amendment, which would have required startups to offer exclusive insurance coverage at all times, failed to pass. Uber, Lyft and Sidecar recently expanded their insurance policies, but only during the periods between rides. O'Brien argued that wasn't enough and said there is still confusion about when drivers' personal insurance kicks in, if ever. "There are still lots of problems with this," he said at the hearing. 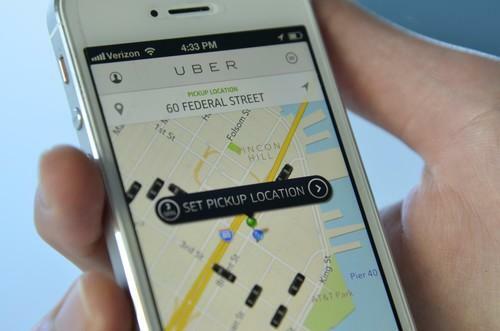 "It's not a question of whether Uber and Lyft can afford to innovate. The question is, 'Do we ask them to provide coverage at their expense, or do we put people at risk?'" Regulators' response to new ride-summoning services is a perennial challenge as they enter new cities. Lyft last week had planned to launch in New York City, but regulators there moved to block it. Those plans are now in flux as Lyft tries to adjust its service to comply with local laws.